Versions are automatically created when you save files so that you can focus on building products. 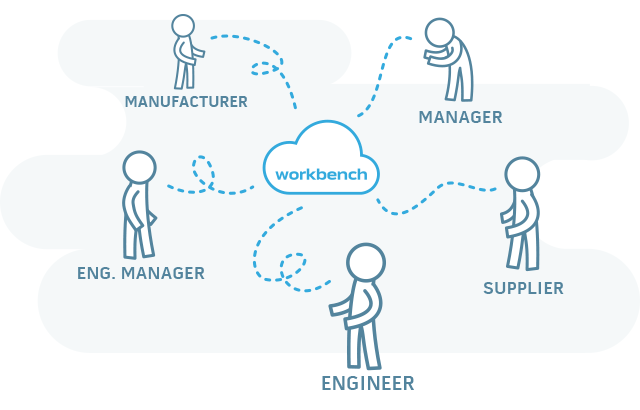 The Workbench Desktop app is used to sync and track all file versions your team creates. When a new version of the file is created, you entire team receives the latest version. If something goes wrong, restore a file or entire assembly to any point in time. Make it easy for your team to reuse existing components instead of creating new ones. Search filters let you easily find and re-use parts or assemblies from previous projects. Allow designers to use a single component in multiple designs without having to re-create it in each assembly file. 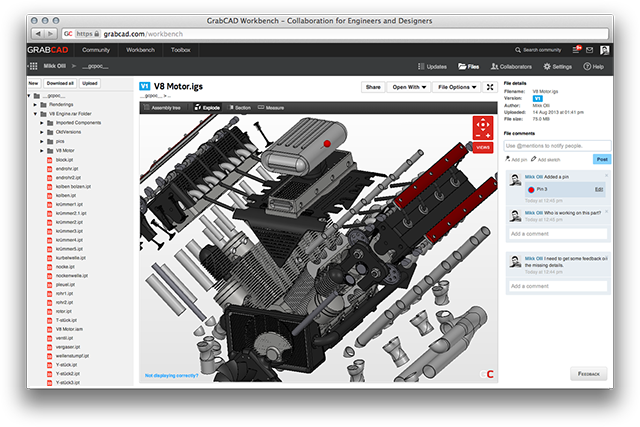 Upload and download files and resolve conflicts using an add-in to your CAD system. View all your team's updates on one project feed and securely share files with external collaborators. Conversations are kept with files so that you can spend less time in email, and more time building great products. Share specific file versions and revisions externally with your manufacturers, suppliers, and other stakeholders with a single click. Easy-to-use BOM export capability enables any Workbench user to generate a Bill of Materials with just a few clicks.